What is the definition of the term "bust a player"? 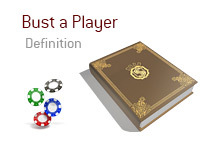 What does it mean to "bust a player" in poker? When you "bust" a player in poker, this means that you are relieving them of 100% of their chips. For instance, let's say that you are playing in a $50 tournament at your local casino. You have been playing for a few hours and are doing quite well - you figure that you probably have one of the top five stacks in the tournament. 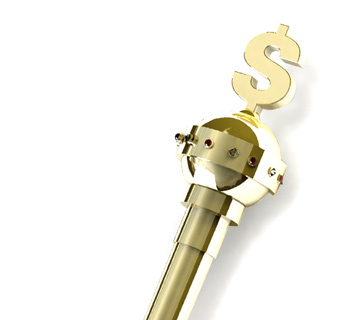 Action folds around to the short stack on the button, who quickly pushes all-in. You are in the BB. The SB folds, and you look down at pocket Aces and quickly call. The button turns over Ks-Qs, while you proudly flip over your pocket Aces. The board runs out 3d-3h-As-2h-2c, giving you a full house (Aces full of Threes) and the pot. The player that you got into the all-in confrontation has no chips left in their stack, which means that they have "busted" from the tournament. You add your opponents chips to your stack and eventually take down the tournament for a nicely $3,750 score.